Most adults that come to Tom Bryan’s Karate want a cardiovascular and flexibility program as well as effective self-defense training. 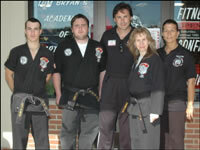 We use a unique and special training method at Tom Bryan’s Karate. We teach White Tiger Kempo which is an extremely effective form of self-defense that can be utilized for any type of attack and we give you training tools so that you can learn without injury. 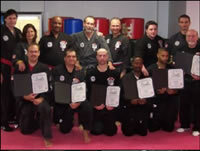 We also offer a non-certification program for adults only, for those adults that only want the training and don’t want belt rank certification. 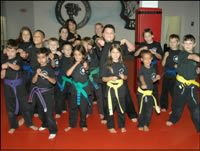 Our children’s programs emphasize character development through respect, self-discipline, and self-control. In a fun and nurturing environment, we strive to make your child’s first experience with the martial arts a safe, positive and productive one. 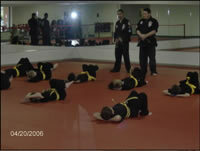 Our martial arts program is award winning and has been recognized by the U.S. department of education. 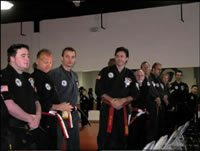 Your child’s present and future success and happiness is important to every one of our black belt instructors. 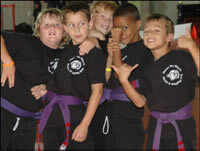 Our special emphasis on the mental attributes of concentration, patience, and self control, as well as the physical principles of balance, timing, and martial arts technique will help your child in many ways. Parents often comment that children show improved performance in class, at home, and in life.